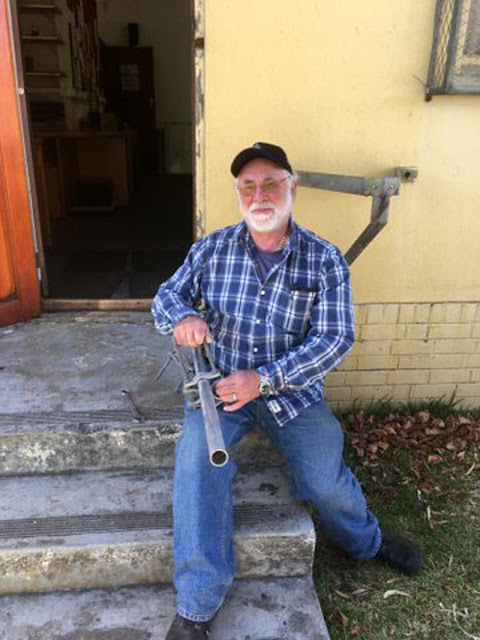 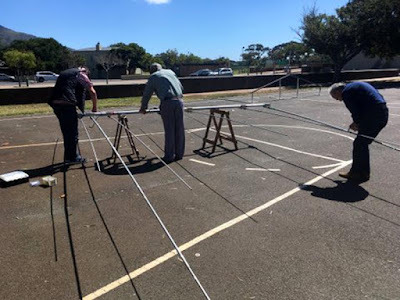 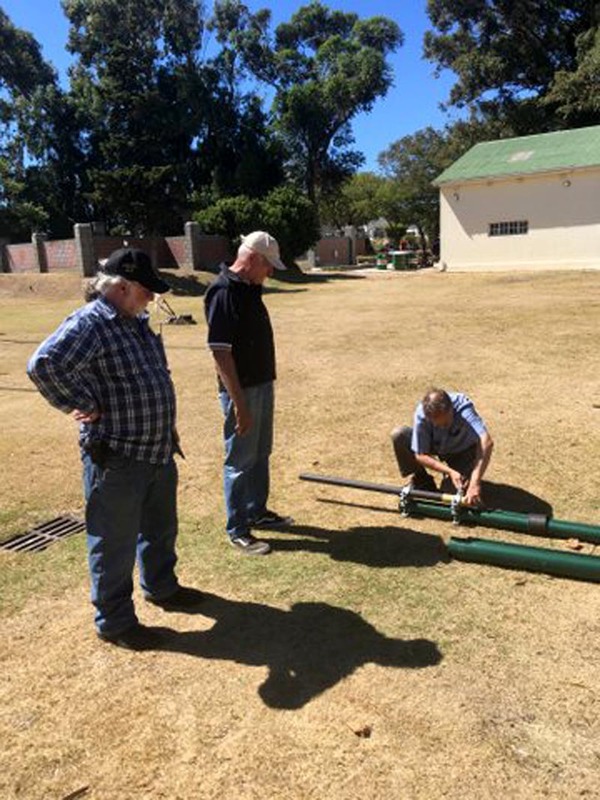 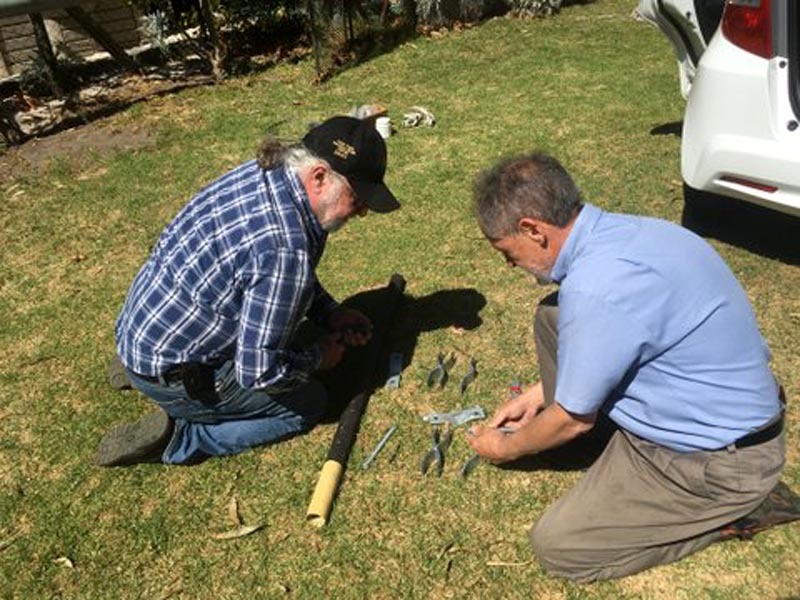 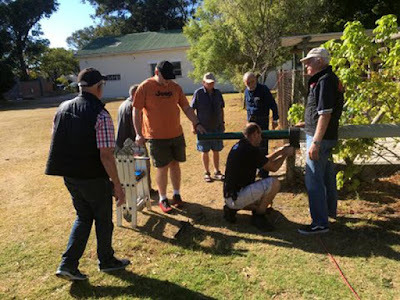 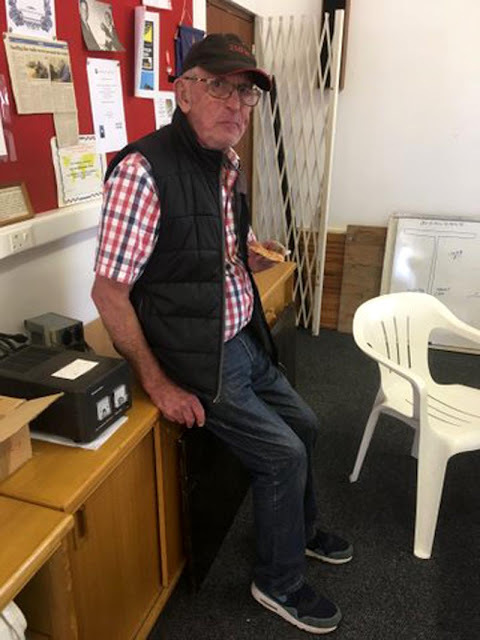 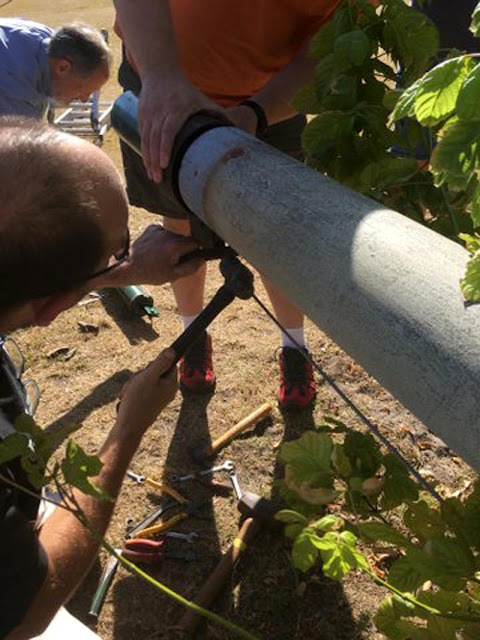 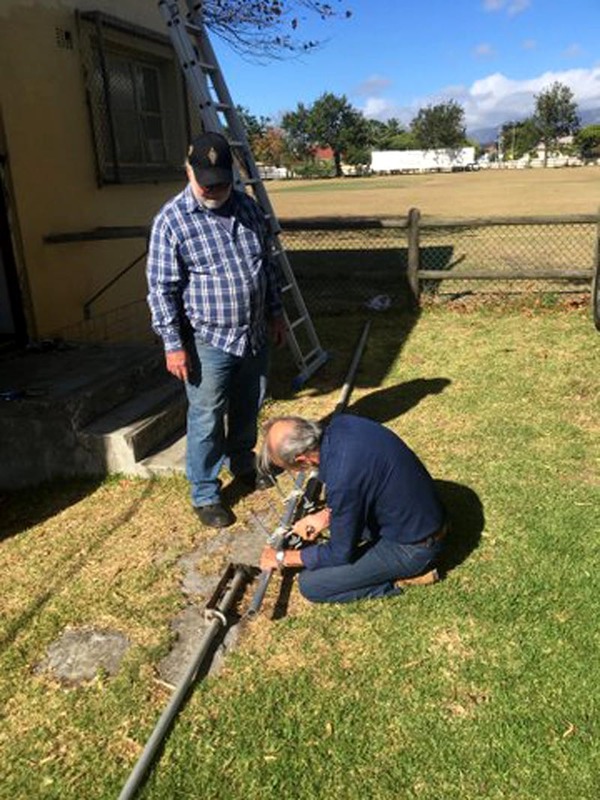 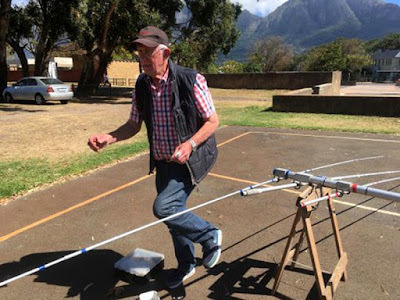 The CTARC Antenna Work Party of 21 March 2018 was a great success. 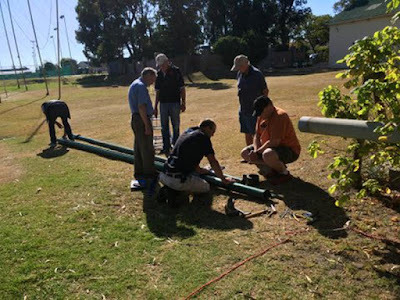 At 09h00 the team assembled and set to work. 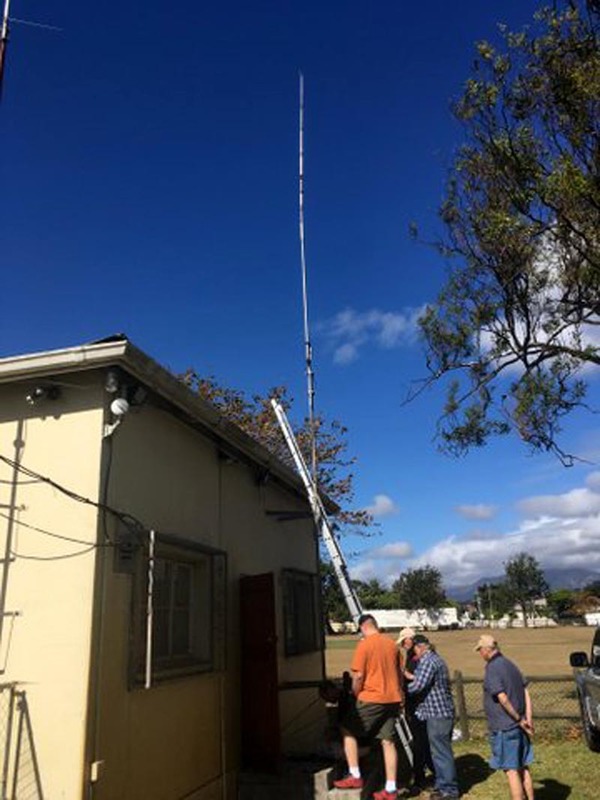 The vertical mast for the main beam antenna was finally fixed and the club's beam antenna mounted on top. 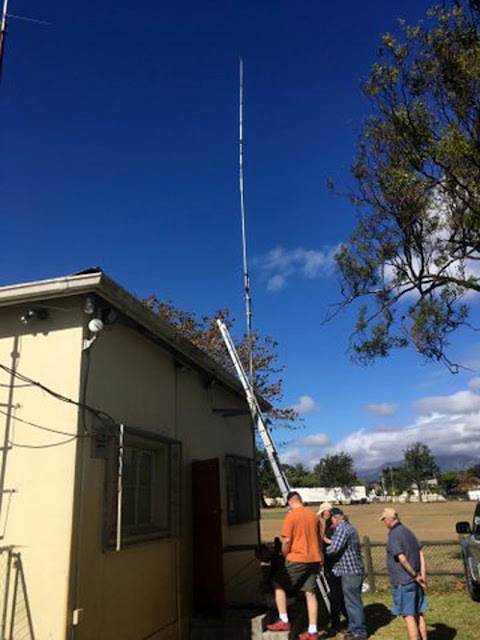 The vertical antenna was also mounted in position on the western wall of the clubhouse. 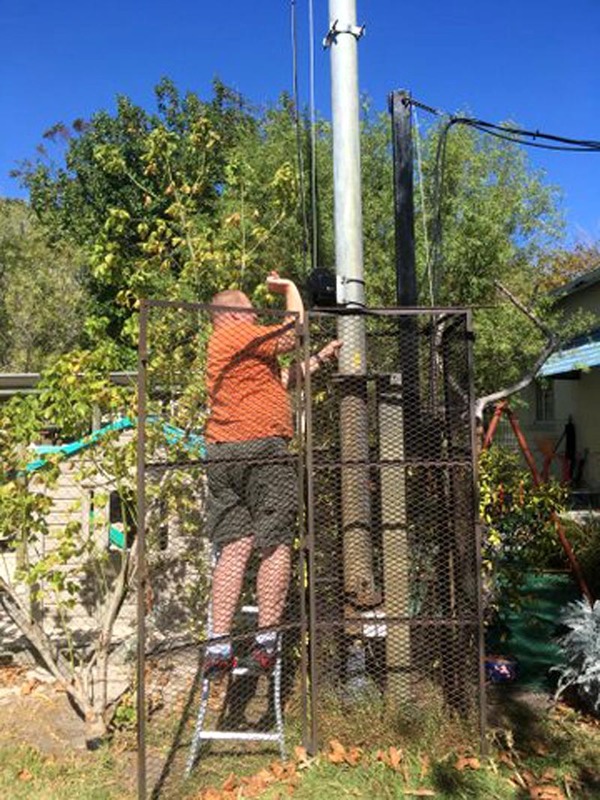 At the end of the work party, Danny / ZS1BL tested the antenna on 20m and made a contact with the USA using 100W, so the antenna is getting a signal out. Well done, guys! Here are some photos and captions, kindly provided by Peter / ZS1PGC. 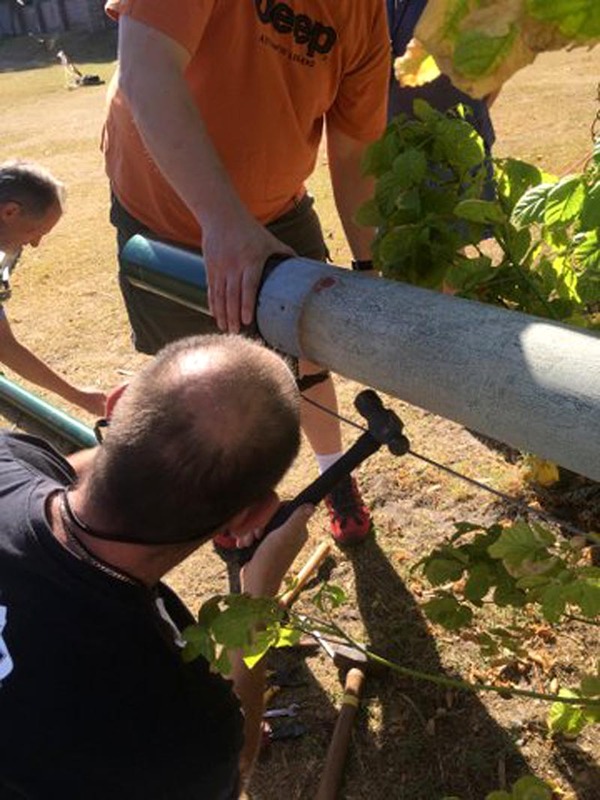 to release the snagged cable. the screws were a bit long and had to be shortened. 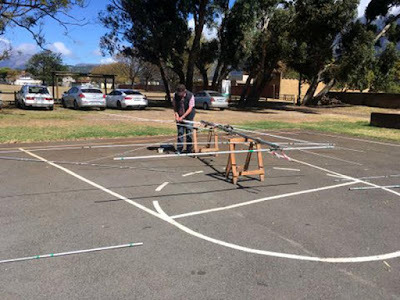 The vertical antenna in position. Noel and then Richard and Tony assemble the beam. The pause that refreshes! 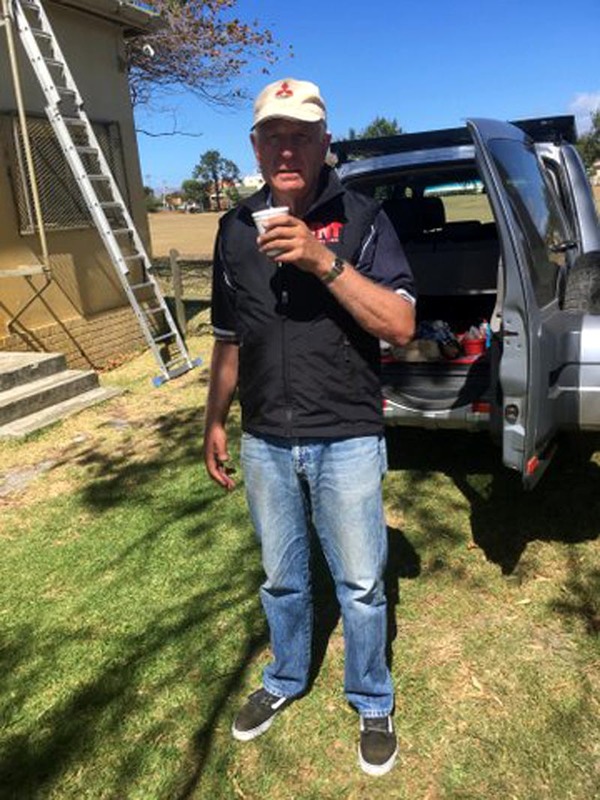 Danny / ZS1BL has a quick cup of coffee. Paul mounts the adaptor pipe to the vertical mast. 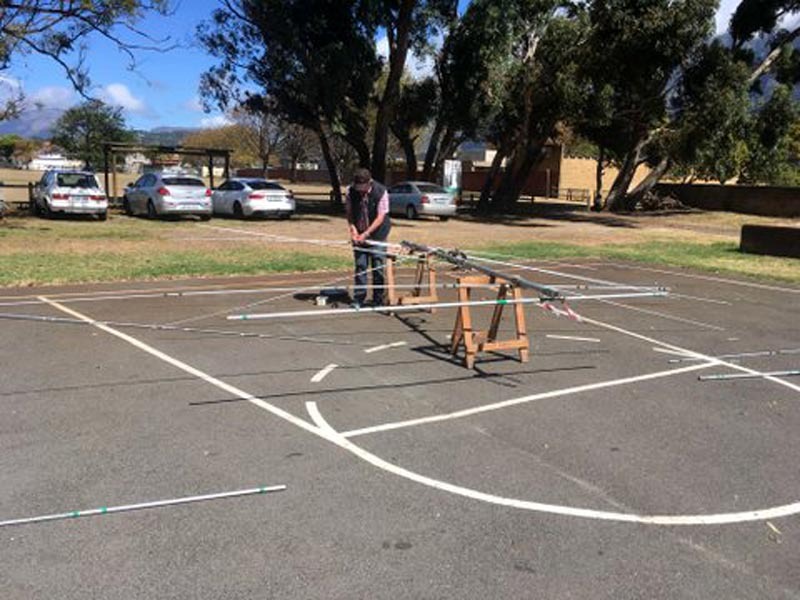 Assembling and checking the beam antenna. 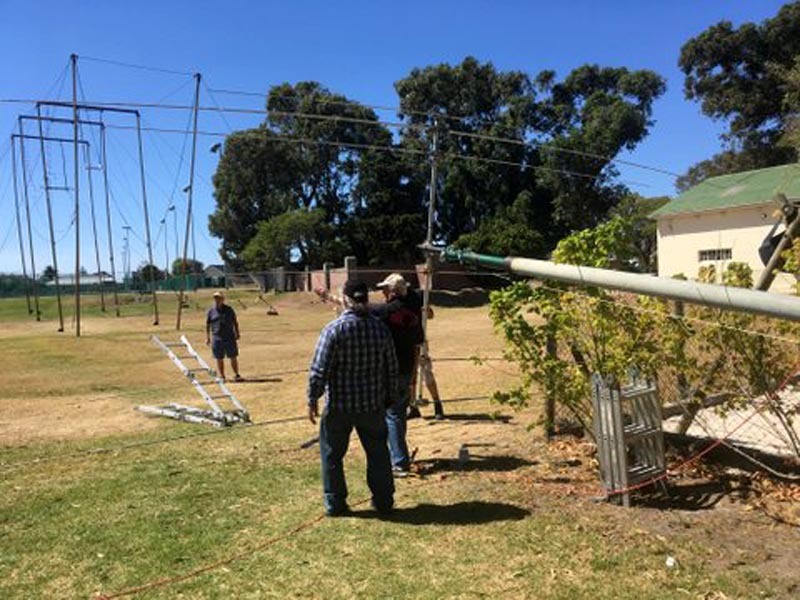 ready to be hoisted up. cold drink and water for the team. with the two vertical antennas also in the picture. 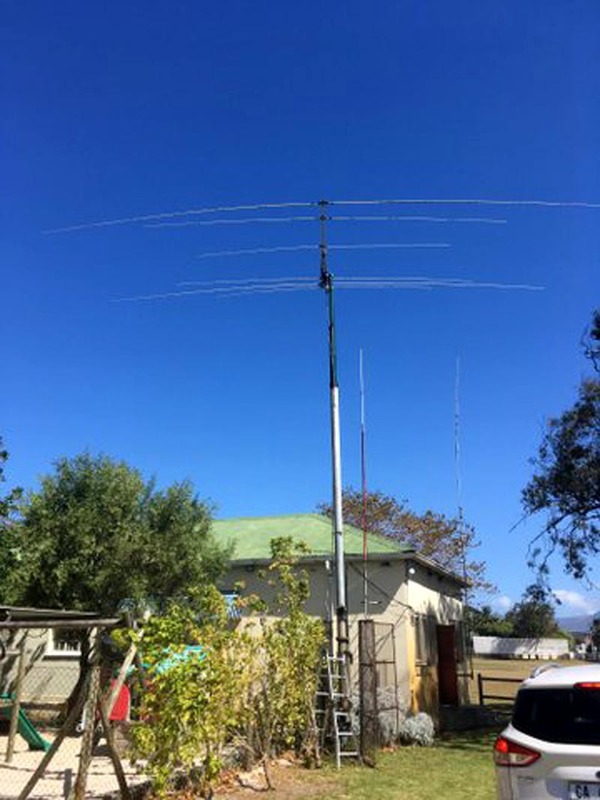 John / ZS1EQ cranks up the mast to its full height.